I can’t believe the rhetoric I have read about the money Karen Klein is earning from donations. So what? Generous people were so outraged by what they witnessed on that clip that they donated money. Get over it! This story was never really about a bus monitor anyway. The. Klein case merely exemplified some very big bullying related issues – namely, the lack of respect many children have for adults, the lack of empathy for a person who is clearly being hurt, the influence of a group in regards to peer pressure and the passive behaviour from bystanders. 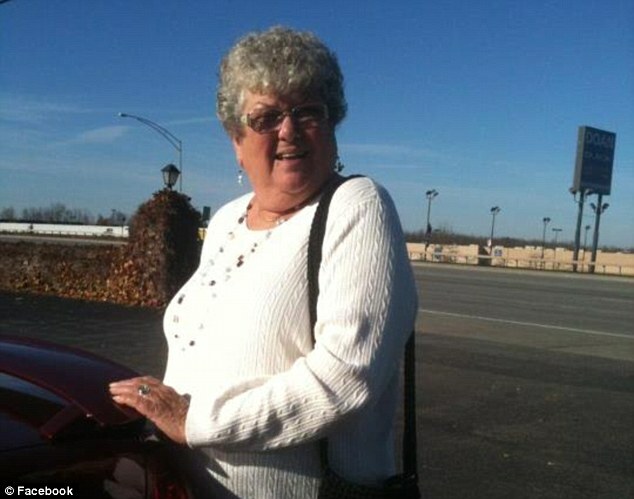 An elderly bus monitor who was taunted, picked on and threatened by a quartet of ruthless seventh-graders is likely going to retire on the $586,000 she has so far received in donations from concerned strangers who were outraged after viewing a video that captured her torment. ‘She is definitely surprised and overwhelmed and certainly thankful for everyone’s support, and it is nice knowing she is not alone,’ Karen Huff Klein’s daughter, Amanda Romig, told RadarOnline.com on Friday. ‘We never thought it was going to be that much, she didn’t think that much – then wow!’ Romig added, saying that her 68-year-old mother is not likely to return to work. Click here on my post which discussed the need to punish the middle school children involved. I hope the generous people who helped secure this donation together with the many other people who were shocked and angered by the clip, now focus their energies on ensuring that their children never treat people like those middle school children treated Ms. Klein. What Happened to Honesty and Integrity? My generation is going to point to today’s youth at some point (if they haven’t already) and blame them for having less respect and being more selfish than they were when they were young. That may be so, but who do you think is really to blame? 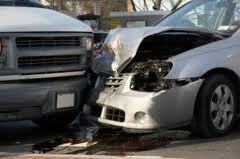 Last week, as I went to pick up my daughter from school a driver smashed into my parked car. Did he (could have been a “she”, but I’ll stick with “he” for convenience sake) stop and wait for me to return? Did he leave a note with his insurance details and a contact number? That’s right, he just drove away like some kind of gutless chicken. He probably thought that my insurance would cover the damage and there would be no loss to me. In reality, even though I have full cover, my insurance company will only pay for the damage over $1000 (I would have to pay for the first $1000). My car is probably not worth that much more than $1000 and I can’t afford to buy another at this stage, so it looks like I’m going to have to walk to work! This story is not a new one. One of my friends experienced a similar thing on the very same day! We can blame today’s children for plenty if we want to. But on further reflection, one has to ask – How are they supposed to end up if we can’t get our own act together and become more responsible rolemodels. The continued debate between private and public school funding tires me out. I am a big believer of a well-funded (i.e. wisely funded) public school sector as well as a thriving private school sector. There is no reason why parents can’t be given choice and why supporting private schools must come at the expense of quality public education. This is where the “Moneyball” analogy fits in. Moneyball is the true story of Oakland A’s GM Billy Beane. Oakland is severly restricted due to the lowest salary constraints in baseball. 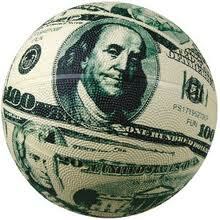 Winning means beating teams with much better infrastructure and player payment capacities. Billy is presented with the unenviable task of finding a winning team with the miniscule budget offered. Together with a Harvard economics major, a system is devised that uses statistical data to analyse and value players they pick for the team. Public schools need to take the same approach. Just like the big baseball teams of the time, plenty of money is spent on public schools, but much of it is wasted money. 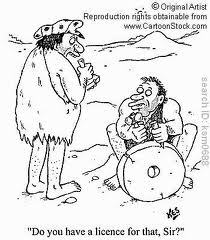 I look at education in a very traditional way. Whilst it is ideal to have the best sporting fields, technologies and building designs, none of these ingredients has been proven to be essential for teaching and learning the curriculum. The school across the road may be able to give each child their own i-Pad, but that shouldn’t explain a marked difference in maths, science or english results. A teacher should be able to deliver on the curriculum with or without such devices. Whilst many get worked up when Governments subsidise private schools, there is a good reason why they do it. 1. It takes billions off the budget bottom line. This saves Governments money, resulting in reduced taxes and smaller class sizes in public schools. 2. It allows private schools to lower their fees. This is crucial for parents who are by no means wealthy, but are prepared to scrimp and save (and sometimes take on multiple jobs and a second mortgage) to get their children into private schools. These people should be commended. They work long hours, weekends, give up overseas travel and big screen TV’s, just to give their kids the best education possible. Government subsidies allow that to happen. 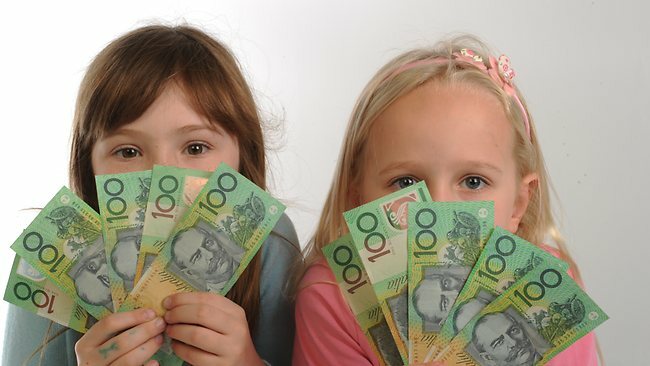 In Australia, the Government gives $13,000 to every public school per student. Private schools get $5,000. Factor in to the equation that many private schools are not elite schools with truck loads of money and resources (I work in such a private school, where I earn considerably less than a public school teacher), and you realise that the subsidy shouldn’t detract from a thriving public education system. By constantly drawing attention to private schools, we risk bringing the private school system down to the public level. What we should be doing instead is trying to get the public school system improved to the level where it gives its private school equivalent a run for its money. That way, you have a private school that sets the bar for top quality education and a public school system that is structured to be able to go toe-to-toe with them based on prudent spending, good decision-making and a workforce of supported and fairly paid teachers. Teachers work a 9 to 5 job – This is certainly not true. Unlike many professions a teacher’s job is not done at the end of the workday. We have to take our essays and tests home with us. We have to write reports. We are also required to do our planning in our own time. Teachers get generous holidays – Whilst this is essentially true, many fail to realise the amount of work we do during the holidays. From setting up the classroom, attending handover meetings and planning, much of my vacation time is dedicated to preparing for the following term or year. In the holidays, I write-up yearly planners, term planners, literacy planners, numeracy planners and integrated unit planners. Most professionals would hate to do any job related work over their vacation time. We have no choice. Teaching is a fairly undemanding profession – Teaching is known to be an exceptionally stressful job with the highest reported rate of bullying of any profession. Teachers can be bullied by a number of sources; from parents, students, bosses, administrators to fellow colleagues. You can’t afford to give us a pay rise? Fine. But don’t you dare call us overpaid! Today I was fined by a parking officer for parking in a permit zone. I had only left my car for a few minutes, and clearly that’s all it takes. 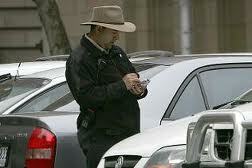 On my way back from the shops I noticed a parking inspector processing a ticket by my car. I asked him what I did wrong. I pointed out the 1 hour parking sign. He pointed to another small sign among others that notified those with good eyesight that the spot was a permit zone on weekends but fine during the week. I told him that I was only gone for a second and that I had made an innocent mistake. He didn’t pay attention. My daughter cried sensing something was wrong and becoming unsettled by the man’s presence. The man ignored her and kept on typing. $75 – that’s what the tiny mistake cost me! I realise that the man was doing his job. He probably has a wife and family to take care of and bills to pay. I don’t blame him for his actions or diminish his right to take on this job. But ultimately, I’m so glad that I am a teacher and not a parking officer. Parking officers serve no real value to the community. They are employed by council workers who should have enough revenue to waste through our overpriced rates. But no, through parking infringements, they have another steam of revenue they can waste in good measure. Nobody is glad to see a parking inspector walking around. Nobody goes to lengths to welcome them or engage in small talk. Their job is to prey on people’s mistake and slug for an inordinate amount of money. Teaching can be so much more than that. We can represent all that’s positive about this world. We can be mentors and role models. We can help children grow to reach their potential. Unfortunately, we can also do a lot of damage. If we are not good at our job or our heart isn’t in it, we can be the manifestation of what is wrong with this world. That’s the great challenge for teachers. To be the polar opposite of a parking inspector. It’s time to correct the mistakes of my generation by ensuring that our children aren’t given the same misleading message. For too long society has fed our young a big, destructive lie. For too long that lie has been allowed to take over our lives, muddy our relationships and bring out the worst in people. Success in Not Dependant on Money – For too long we have been programmed to look at wealthy people as successful. This is simply unfair. No matter how you structure a democratic society, there will always be a very small percentage of wealthy people. Are we saying that only 5% of our population are going to be successful? Surely success is something obtainable to a broader group of people? We have seen how easily wealthy people lose their wealth. We have also seen how dishonestly some wealthy people obtain their wealth. Is this the trademark of success? Surely not. We must tell our young that a wealthy person is someone who can feed and clothe their family. Not someone with cars they don’t drive and a holiday home only lived in for a few weeks during the summer. Success is Not Dependant on Appearance – This one really upsets me. It is a sentiment which allows the advertising agency to take control of our self-esteem, flog us products that don’t work and make perfectly “normal” and healthy people feel ugly. By setting up a model of beauty that is impossible for 95% of society to ever achieve is tragic! The current model of how we should look goes against the natural aging and metabolic process of the body. It says that if you have wrinkles, freckles, dimples, big ears, a bent nose, cellulite, small breast or a certain complexion you are not beautiful. Gone are the days where we can even say “Beauty is in the Eyes of the Beholder”, because this model of beauty has infiltrated and brainwashed the beholder. Is it alright to look your best? Sure. Is it beneficial to look after yourself? Absolutely! But an obsession with looks, like every other obsession is destructive. Even those that are blessed with such looks soon find out that it doesn’t last forever, and when it goes, they often haven’t developed other parts to their character to fall back on. I personally, don’t believe in forcing the media and advertisers to change their policy. I believe in advocating a change of perspective starting from parents and supported by teachers. We must redefine beauty and then show our children that our appearance has nothing at all to do with success. Success is Not Dependant on a Title – Not everyone can win an Oscar or become a President, and nor should they to feel successful. For too long society has peddled the belief that doctors and lawyers are successful while taxi drivers and house painters are not. A taxi cab driver might not sound like a successful profession on face value. But that same taxi driver has a crucial role to play. They help the disabled and the aged, are crucial in keeping intoxicated people off the roads and protect vulnerable people from walking the streets and taking the trains late at night. A house painter may seem like an ordinary profession, but have you ever looked at the difference a bright, well-painted room makes to a persons mood and outlook? 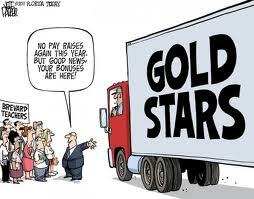 All jobs have a critical role to play in making life more enjoyable regardless of the pay involved. We must tell our children and students that it’s not what you do that determines your success it’s how you do it. Are you a good person? Do you treat others with respect and show empathy and concern? Do you avoid speaking disparagingly about others (particularly behind people s backs)? Do you refrain from spreading rumours about others? Are you patient? Do you allow others to have different views and opinions? Do you follow the law? Are you truthful? Are you fair in business? Are you a good parent? Do you put your children first? Do you spend enough time with them and take an interest in their passions? Are you a good husband/wife/partner? Do you accept your spouse for who they are? Do you avoid putting down or heaping guilty on your partner? My checklist isn’t dependant on characteristics that are only obtainable by a miniscule proportion of society. Instead it reinforces my belief that all of society can be successful regardless of background or job description. That’s why I think that an educator has an even more important job than simply covering the curriculum. We get the chance to instill in our students a sense of self, what they can achieve, and how they can use their unique qualities and skills to positively affect the world. I usually don’t impart my personal beliefs on my students. I believe that teachers should allow their students the opportunity to form their own beliefs. But on this subject, I gladly make an exception. I will not hear it that only some of my students can achieve success. While I have them, I will continue to fight for their right to a self-esteem, an opportunity to claim “real success” and a an awareness of society’s lie about what success is.